Alike your carpets, upholstered furniture also need regular cleaning. Upholsteries are prone to wear and tear. Dirty hands and feet, pet urine and hairs, food crumbs, drink spills, pollen, and dust from the air, plus a whole host of the other contaminants can all turn your pristine furniture into something that looks more shabby than chic. The good news is that most of this issue can be eliminated easily and quickly using a professional upholstery cleaning service. Have a look at 4 benefits of the same. It is not only the stain that gets trapped in your furniture, but it is also invisible odor too. More often than not these are going to be very difficult to destroy with usual cleaning. Certainly, you could always apply a liberal dose of air freshener. However, all they tend to do is to mask the rotten smell. On the contrary professional upholstery cleaning not only remove the debris you can see but the odor you can’t, leaving your furniture not only looking great but smelling great too. Stains are comparatively simple to eliminate if they’re addressed quickly. However, once they’re overlooked they seep into the upholstery fibers it can leave a sticky residue which will attract dirt and dust. This, in turn, leaves a dark patch which can really stand out especially on lighter fabrics. The professionals have the ability to deal with tough stains. Do you know that by having regular upholstery cleaning from the professionals can prolong your upholstery life? Certainly, it’s true. Specks of ground in dirt act like sandpaper and can actually weaken the fibers below causing internal damage. By not allowing those unwanted particles to accumulate in your upholstered furniture will make your upholstery to look like new for a long time. Have you ever fluffed up a cushion on a sunny day and seen all the tiny particles of dust and debris floating in the room after you have done it. These are the unwanted guest in your bedroom. Usually, they are not harmful but can be dangerous to the people who are sensitive to allergies. They are also harmful to people with asthma, eczema, or breathing issues, or infants. By having upholstery cleaning by professionals of Kelley Carpet Cleaning on a regular basis you can reduce the number of allergens and particles present in your furniture. Isn’t is good for peace of mind? 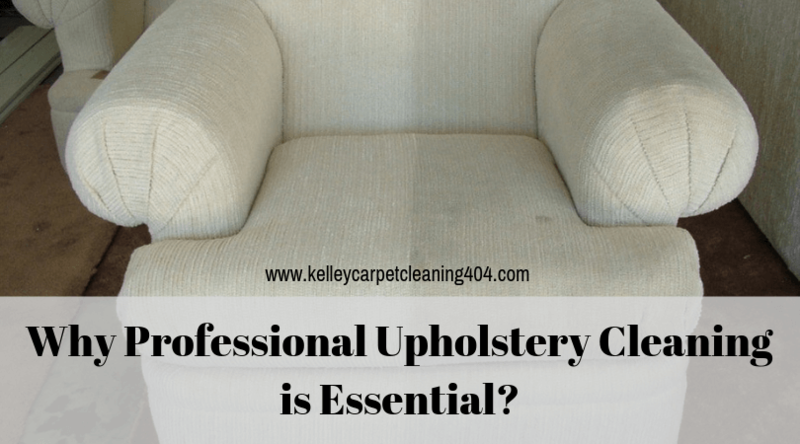 If you are looking for professional upholstery cleaning, there is no one better than Kelley Carpet Cleaning. We provide upholstery cleaning services in Newport News, Yorktown, Williamsburg, and nearby areas. Call us today and experience the best upholstery cleaning by the experts of Kelley Carpet Cleaning. Follow us on Facebook for regular updates regarding services and tips. Call us now at (757) 504-2267 to book your appointment and grab our best deals today!! !